On World Book Day 2019, authors and screenwriters came forward calling for more diversity in children’s books, so young people see representations of themselves in the books they read. Rachel Shenton and Julia Donaldson are two individuals who have rallied this cause, emphasising the importance of children not feeling their experiences are invisible. This issue is one that is vital in both children’s and adult’s fiction. It is incredibly important to show representations of numerous experiences within fiction, particularly in relation to those with disabilities as there is not a vast amount of representation for those with disabilities in literature. However, there are some authors who are making a big difference in raising awareness for those with disabilities and making sure their experiences are not ignored. Here are some incredible books you must read that feature characters with disabilities. If you are looking for a new novel to read, then I could not recommend any of these books more highly. 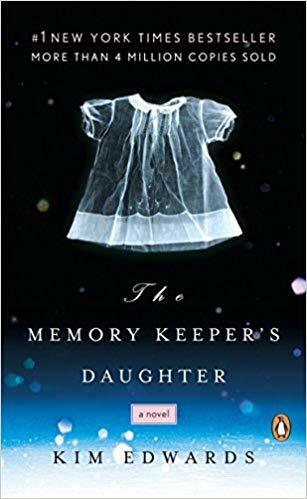 The Memory Keeper’s Daughter is a heartbreaking novel by Kim Edwards, that tells the story of two twins that are separated at birth. Dr. David Henry is stuck in a blizzard and has to deliver his own twins, a boy and a girl. Upon learning that his newborn daughter has Down’s Syndrome, he gives her away to one of the nurses and decides to never reveal the secret to his wife, who believes her daughter died. The nurse, instead of passing the baby onto an institution, makes the decision to relocate and raise the child herself. This story spans over a quarter of a century, with the two families living independently of one another, and Norah Henry, the mother of the two children, still unaware that her daughter has survived. Following both of the children’s stories, the reader is taken through a moving journey, tackling themes of grief, secrecy and what it means to be a family. As grief destroys David’s family, the young girl grows up in the care of the nurse, who takes her on as if she were her own child. Having since been made into a movie, this novel has made an emotional impact upon readers, paralleling stories in a masterful way so the reader can see these incredible two young children grow up in separate worlds. Tackling stigmas around disabilities, this beautifully crafted novel will remain in the forefront of your mind long after reading it. Another novel featuring an inspiring character with a disability is children’s novel Wonder, written by Raquel Jaramillo, better known by her pen name, R. J. Palacio. It has recently been made into a movie by the same name, and stars the exceptional actors, Owen Wilson and Julia Roberts. Having gained acclaim for being a kind and benevolent tale of a young boy with a facial deformity, it is one of those stories that is often forgotten that it was originally a novel. Palacio was inspired to write this novel after her son noticed a girl who had a facial deformity and began to cry. Protagonist August (Auggie) Pullman was born with a facial difference and has to undergo numerous operations and be homeschooled as a young child. The novel follows his story of starting mainstream education and the trials that come alongside this change. Auggie desperately wants to be ‘ordinary’, but does not realise his own extraordinary wonder. The story is told through numerous perspectives, including Auggie’s, his sister’s and his classmates. Each perspective works to show different people’s relationships with Auggie, and show their struggles with empathy and acceptance, both as individuals and as a society. This heartfelt novel is a life-affirming and important story that focuses on love and is (excuse the pun) a truly wonderful book. Although it is a piece of children’s literature, it is definitely one that all ages are able to appreciate and enjoy. 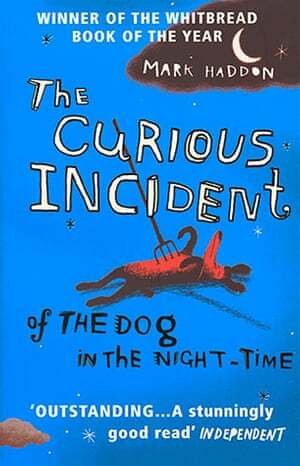 Mark Haddon’s 2003 mystery novel, The Curious Incident of the Dog in the Nighttime, is an incredibly famous novel, having since been made into an equally as successful theatre show. Protagonist Christopher has an incredibly logical brain, being able to recite unique facts, such as every prime number up to 7,057. Mathematics, rules and diagrams make sense to him, but he struggles to understand human emotions. He finds everyday interactions meaningless and has a carefully constructed schedule that makes his everyday activities easier. The balance in his life is altered when his neighbour’s dog is killed and Christopher decides he is going to solve the murder. Following in the footsteps of his favourite detective, Sherlock Holmes, he sets out on an incredible journey to solve the puzzle. The novel makes the reader think with Christopher, as Haddon brings them into Christopher’s mindset. It is a unique depiction of someone with autism that readers still remember over ten years later. The theatre adaptation remains true to the narrative of the story, cleverly using visual effects to, quite literally, bring the audience into a world of logic. Whether you read the book or see the show, Haddon’s exceptional story is one worth exploring, with protagonist Christopher being one of the most inspiring and touching depictions of someone with a disability in literature.